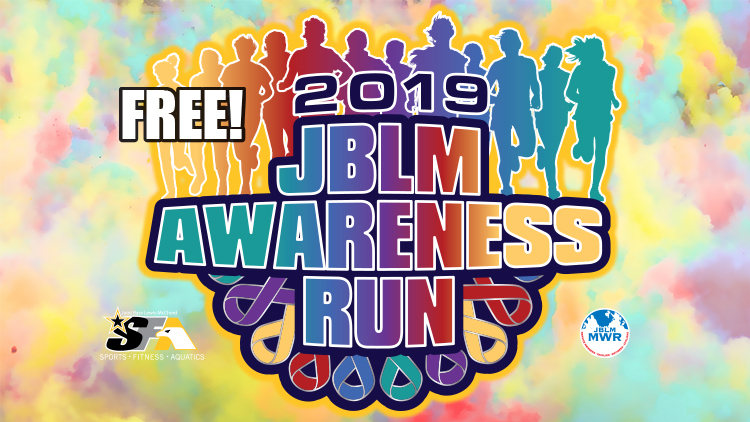 Date: Apr 6 2019, 10 a.m.
Come out and get doused with color as you run and walk the streets of JBLM! The first 1,000 participants will receive a t-shirt, custom race bib, and custom finisher medal. Entry is capped at 1,300. The run is designed to provide the JBLM community an enjoyable and safe activity and bring awareness to JBLM programs that are designed to educate about the prevention of sexual assault, domestic violence and suicide. 6 APR 19: Packet pick-up 0700-0945 at MWR Fest Tent. Visit the Info Booths.